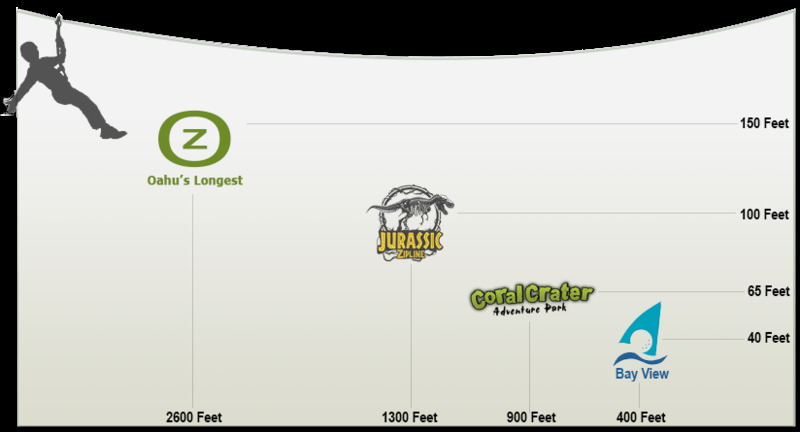 Our Coral Crater location is voted best valued zipline experience. CLIMB Works Keana Farms Zipline is the North Shore Oahu Zipline. 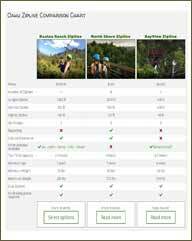 It is a complete zipline tour with beautifully designed structures. 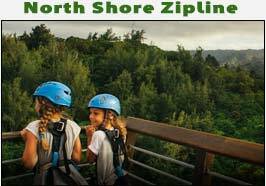 The guided tour is 3 hours with zips over a farm on the north shore. The 8 ziplines have panoramic views of beautiful landscapes and the ocean. Kualoa Ranch is the newest Oahu Zipline. 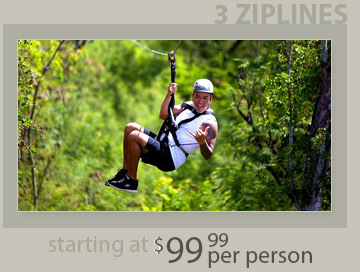 Located on the North-East side of Oahu, this is a complete zipline tour with 7 different runs. The guided tour takes 2.5 hours and includes some short scenic hiking. 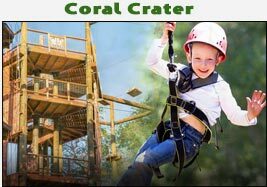 On our signature Coral Crater Zipline tour, your guides will lead you through 3 or 6 ziplines ranging from 300 to 900 feet where you’ll reach speeds up to 35 mph! This is the right tour for those looking to experience an adrenaline pumping, high flying experience. Located only 25 minutes away from Waikiki in Kaneohe, Bayview Zipline is perfect for the whole family! Soar to new heights as you fly over your family & friends on the dual zipline. Expect tons of friendly competition refining your miniature golf skills or being cheered on while you race each other side-by-side at 25 mph on our 400 foot long zipline. 3 hours of the WOW effect! 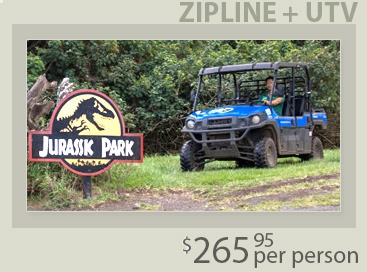 Zipline at famous Kualoa Ranch, the filming location of Jurassic Movies. Ride & Zip deep into Ka’a’awa Valley. Combine your zipline with a visit to one of Oahu’s most secluded beaches. 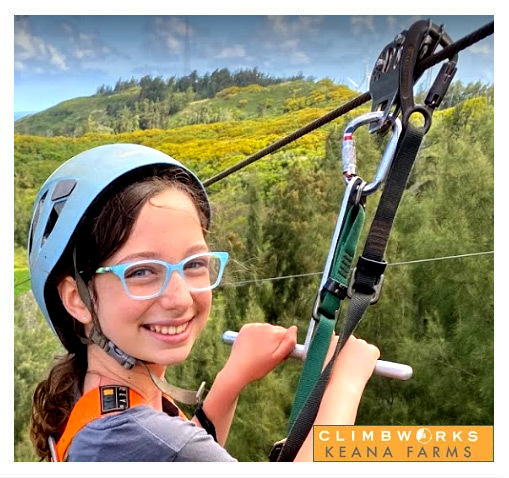 If you're looking for a truly unique zipline experience, head to Oahu's North Shore, home to CLIMB Works at Keana Farms. This guided tour, set on a working tropical farm, is a fun-filled three hours that includes eight ziplines ranging in length up to 2400 feet! Soar over lush tropical landscapes on state-of-the-art dual lines—including the longest zipline on Oahu—with spectacular mountain and ocean views all around you. There's even more included in this breathtaking adventure tour! Start with an awesome ATV ride to the launch site of the first zipline, and enjoy rappels and sky bridges between the different runs. Along the way, your friendly, expert guide keeps you entertained with lots of interesting information about the farm, the North Shore, and the flora and fauna you're seeing everywhere you look. Satisfy your taste for thrills with a high-flying Oahu zipline adventure you won't soon forget! 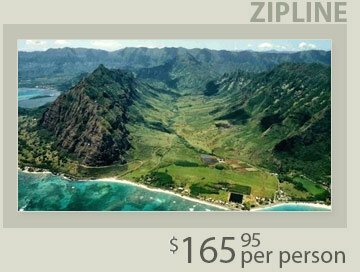 3 hour guided zipline tour that includes Oahu’s longest ziplines ranging from 500 feet to nearly half a mile long. The scenery at Kualoa may be familiar as you will recognize some backgrounds used for filming Jurassic Park, Godzilla, 50 First Dates, Windtalkers, Hawaii Five-O, and Lost. This tour operates in groups, which can be fun as you get to meet others from around the world. 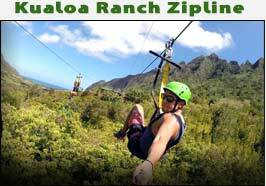 The Kualoa Ranch Zipline is fun for couples and families. 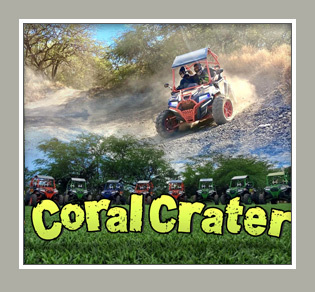 We recommend that you combine it with other Kualoa Ranch activities. The Zip ‘n’ Dip is a perfect way to spend the day in Hawaii. Do a complete zipline tour, then relax, swim, and play at a secluded beach. Have you ever been on a horse? It doesn't matter. This is the perfect experience for both first-timers and experienced riders. The unsurpassed views you will see when horseback riding at Kualoa Ranch will blow your mind. Ride deep into Ka’a’awa Valley where Jurassic Park, 50 First Dates, and Lost were filmed. 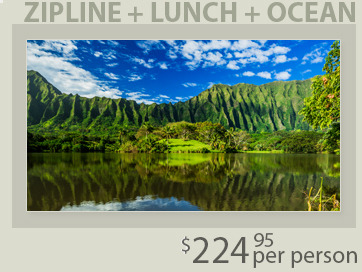 You’ll also see forests, World War II bunkers and fantastic views of the Kualoa Mountains and the Pacific Ocean.